Very vigourous, tall-growing sugar-snap pea with violet flowers and ever-so-sweet pods. 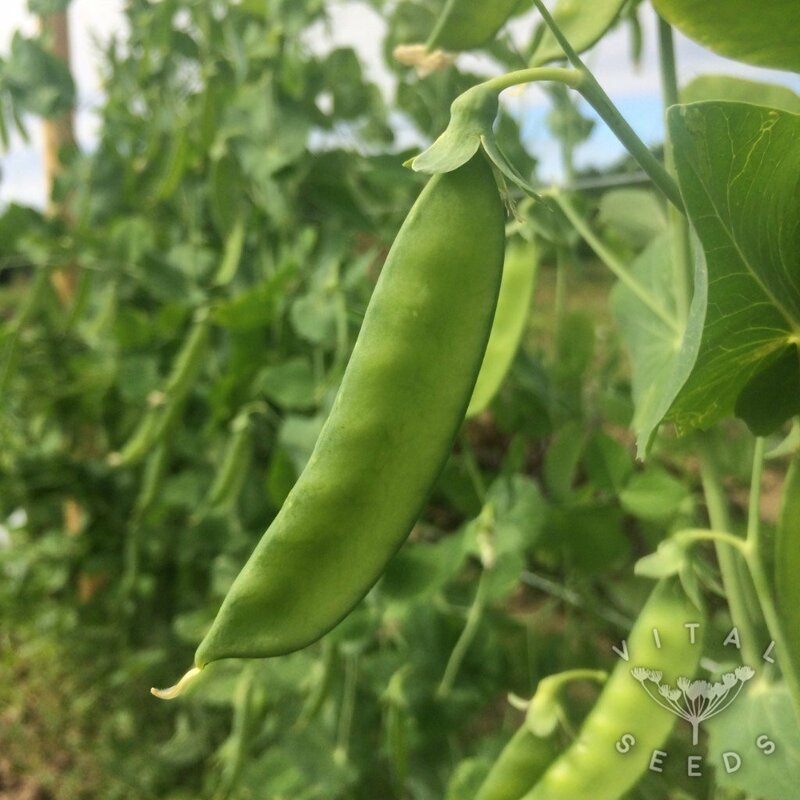 They are delicious raw, when picked young and still flat, steamed or stir-fried, fantastic in salads and you can eat them ‘pod and all’. 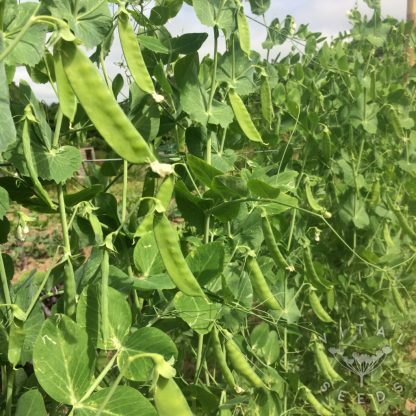 They produce an early crop of sugar snap peas on productive and hardy plants. 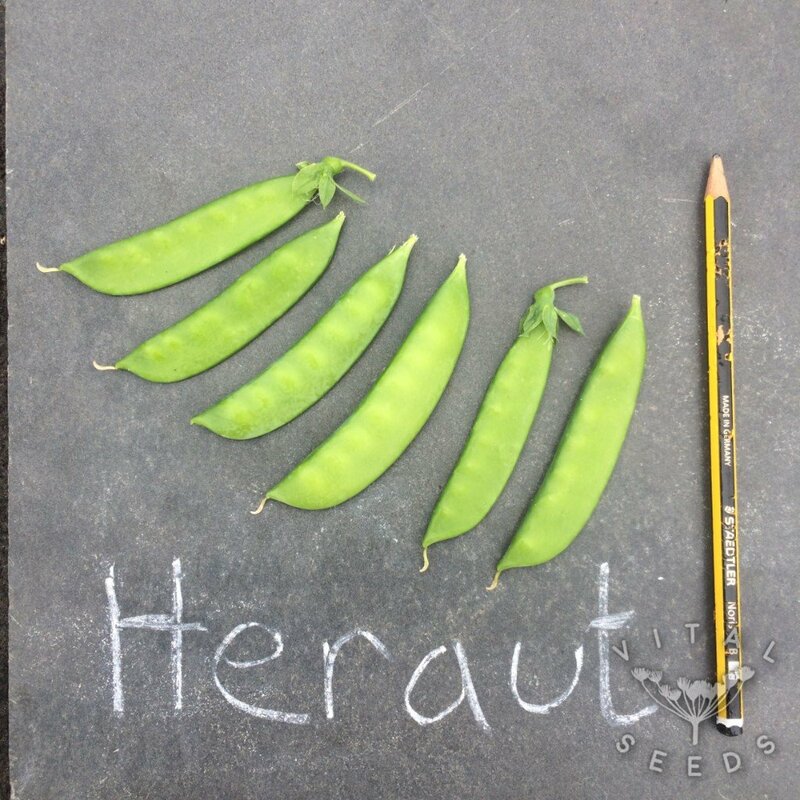 If picked regularly, more growth is encouraged. 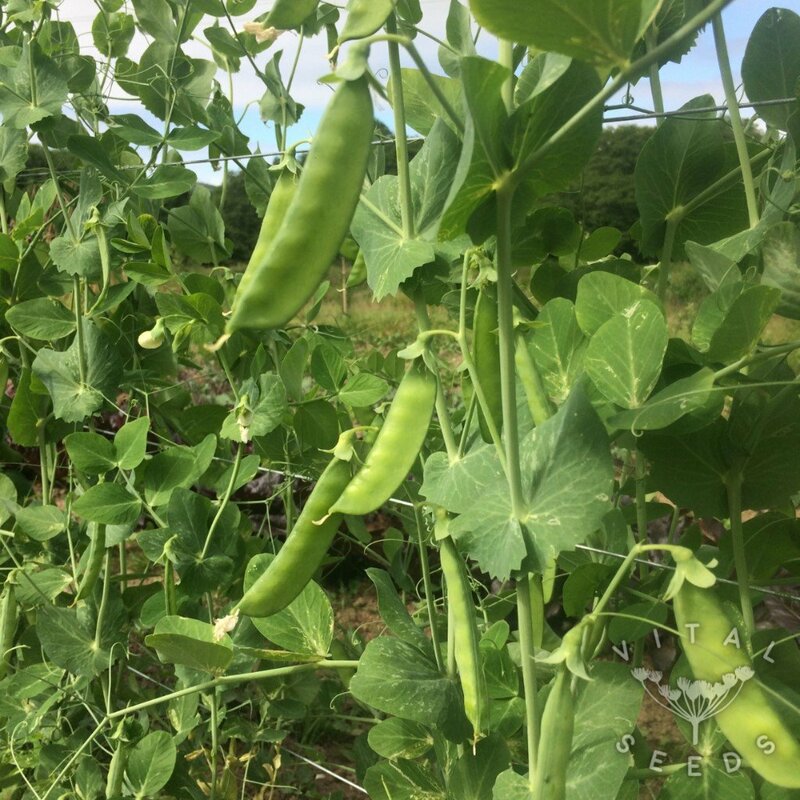 It quickly makes its peas, and has a great taste, too, so that we couldn’t resist snacking on it while growing it.